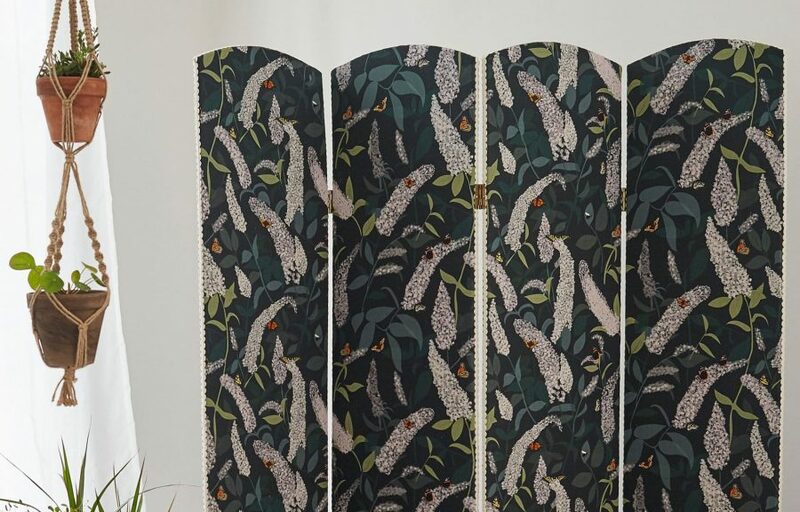 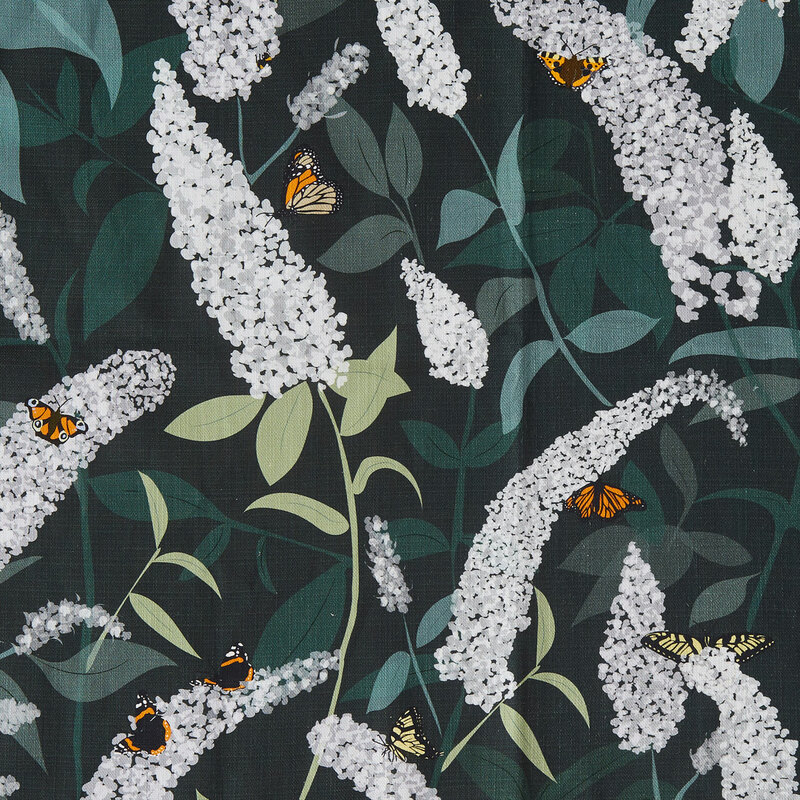 This butterfly fabric in shades of green showing British butterflies, including monarch butterfly, peacock butterfly and a swallowtail butterfly dancing among a white buddleia bush. 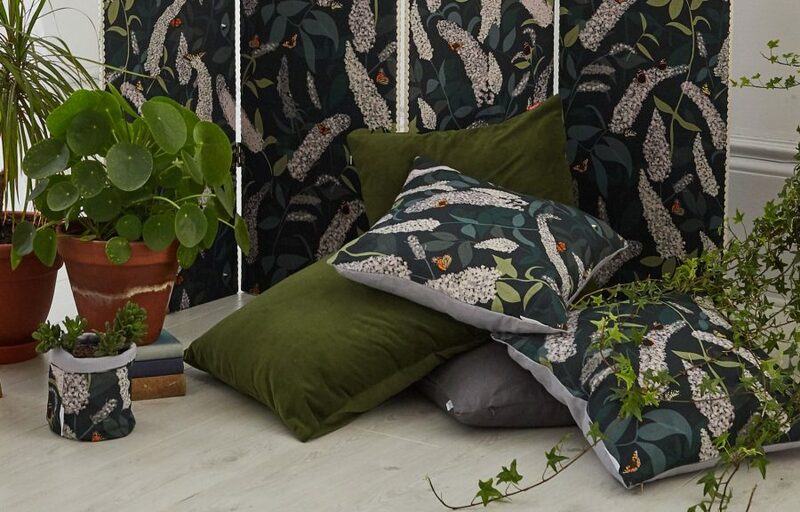 Made from 100% cotton and digitally printed in the UK, this bee patterned fabric is ideal for use making cushion, seat covers and a range of upholstery and upcycling projects as well as curtains and blinds. 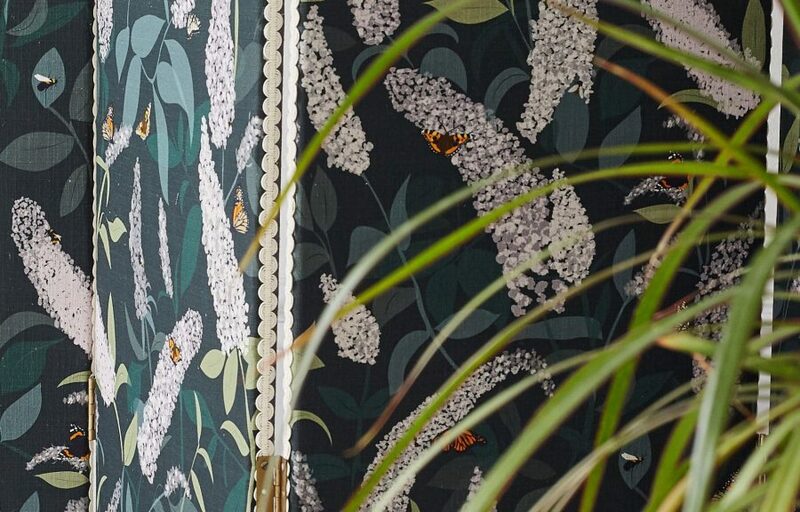 Often spotted brightening railway lines and other urban spaces, Lorna’s love of the butterfly bush began in her family garden. 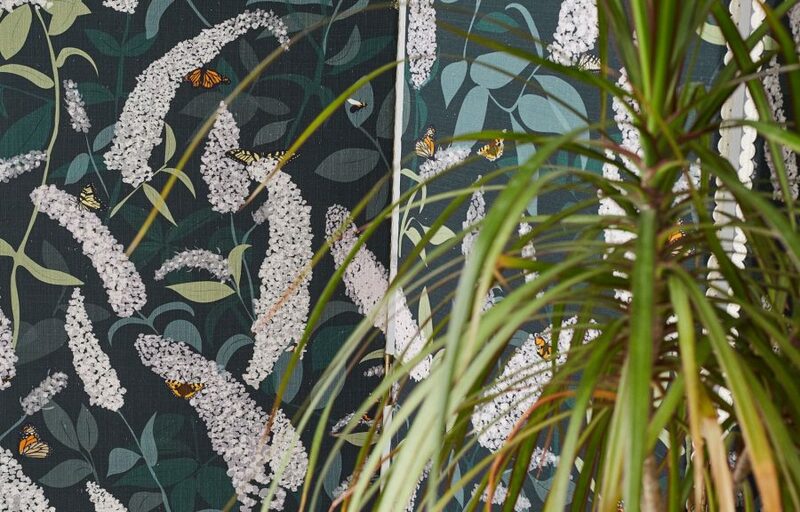 Recreated in a sophisticated palette of green and white, Lorna has added pops of colour with some of her favourite pollinators.